"I try to reach out to people who are different and help them," said Jennifer Rose. At the age of 20, as she begins her junior year at Drew University, Jennifer Rose has written the first of what she hopes will be many books. Its catchy title is It's Not a Perfect World, But I'll Take It: 50 Life Lessons for Teens Like Me Who Are Kind of (You Know) Autistic. She began work on the 136-page book last year during winter break when she had little to do and thought, “I might help people by writing a book,” she told NJ Jewish News in a Sept. 18 phone interview. That material is offered in 50 serious lessons presented in a breezy, self-revealing style that aims to provide a road map for young people coping with autism and other issues that may make them feel unwelcome, confused, and unpopular. Jenny’s words of advice, blended with comic and pop culture references, are intended to resonate with her peers. Popular figures like Kanye West and Katy Perry may not be familiar to many older people, but they populate the pages of Rose’s work. In the context of the serious issues she confronts in laying out the challenges of her life, her sense of humor emerges. One major hurdle came as Jenny was preparing to become bat mitzva in 2009 at Temple B’nai Or in her hometown of Morristown. “It was a time when my life was really falling apart and my grandpa was not feeling well,” she said. She had difficulty learning Hebrew, “which is especially hard for a special-needs child,” she said, but thanks to the assistance of a dedicated tutor named Bonnie, she was able to do the full service. Rose and his wife, Gayle, took special care to get their daughter the proper education. Upon entering college, said Rose, Jenny did face challenges. At first, he said, it was difficult for her to make her way around campus. “I would literally walk her from one building to another for the first few weeks so she would learn the layout of the campus,” he said. “Many things that come easily to most students she had to work hard at.” But, he said, she’s learned, and now she is independent enough to go out in Madison with friends for dinner and a movie. In her book, Jenny describes moments of explosive anger at home and in school, which sometimes led to her being disciplined. Jenny’s younger sister, Flora, also copes with autism and “is more seriously affected than Jennifer,” said their father. 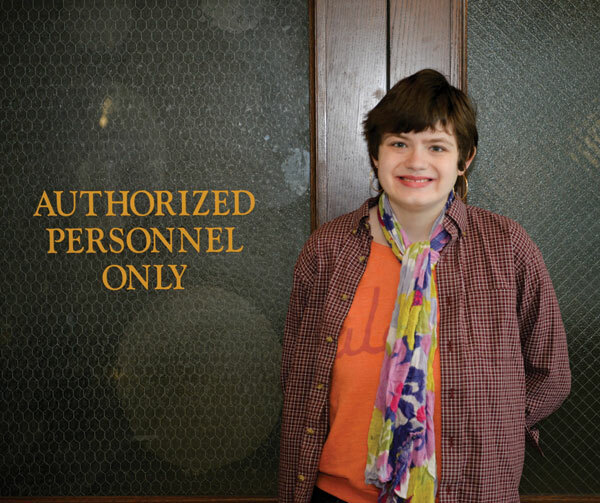 Flora, 16, is in a special class at Morristown High School. Jenny has academic challenges as well, and some have popped up during her years at Drew, where she is involved in Hillel. “I dropped courses in science and mathematics. I took physics last semester, and it was a disaster,” she said. But she loves to read, write, study Japanese animation, and watch new films as well as old classics. 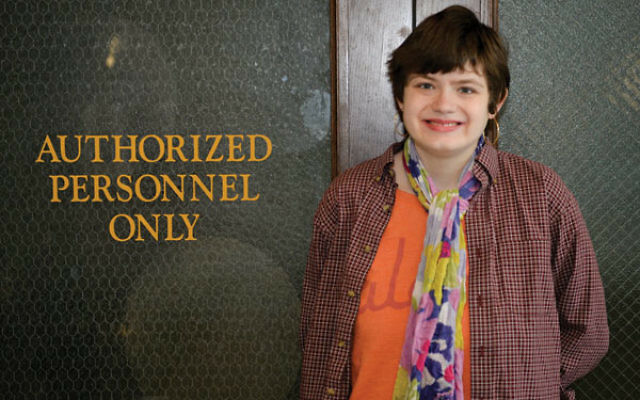 She expects to graduate from Drew in 2018 and to dedicate her life to writing and advocacy for people with autism and beyond.